It’s always nice to be noticed, and even nicer to be appreciated. Today I am walking tall and smiling like the Cheshire Cat as not one, not two, but three organisations have good things to say about The Frustrated Gardener. 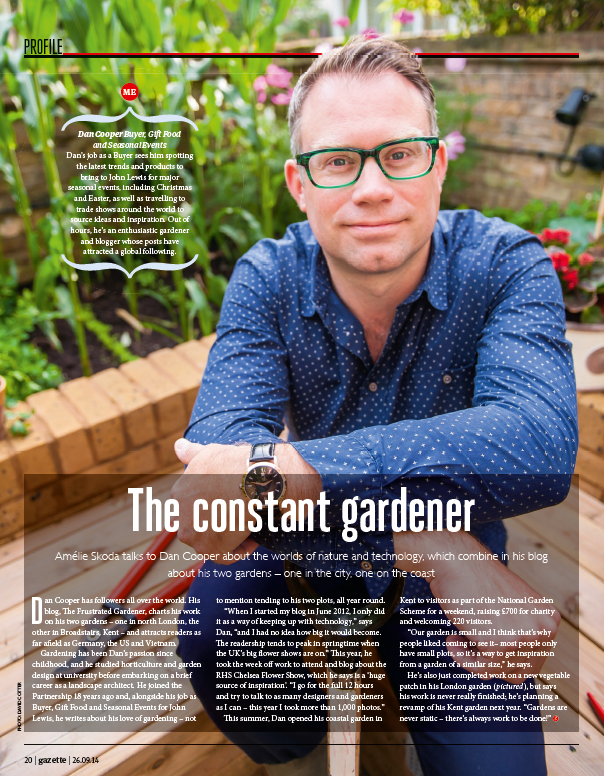 First off, my company magazine ‘The Gazette’ has written a lovely profile about me and my hobby and passion, gardening. This involved a two hour photoshoot in our London garden which was terrific fun and the nearest I’ll come to being a supermodel. David Gandy need not watch his back! Secondly, the team at Notcutts Garden Centres have nominated The Frustrated Gardener for their 2014 ‘Notcutts Loves’ blog awards in the category ‘urban gardening’. I hadn’t really considered myself an urban gardener before, but I guess it’s fitting for someone who tends two town gardens. If you’d like to cast a vote in my favour, or eye up the competition, click here. And, last but not least, the website UK Doors Direct has included The Frustrated Gardener in their Top 10 gardening blogs. 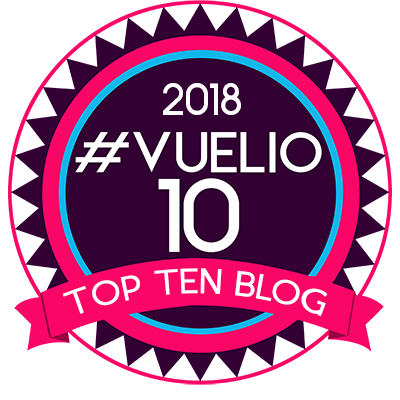 I had no idea about the accolade until I started to spot visitors coming from their website, but I am delighted to find myself in the company of so many great blogs. If you are a new visitor and like what you find, why not follow me? The Big Time? Maybe not, but it makes for one very happy Frustrated Gardener. All very well deserved. Your enthusiasm has always been teamed with style and skill in your writing, photography and knowledge. Congratulations, Dan! An interesting concept gardeners as super models. Hmm – I can’t see it catching on! Congratulations Dan! I am so proud of you. Congratulations!!!!!! And so well deserved. You should be grinning like a Cheshire cat and be super proud of your recognition. Did you have hair and make up at the coy shoot along with wardrobe!!! So thrilled for you and also for him Indoors behind the scenes…..
PS I have just voted too! Sitting in the queue for the Blackwall Tunnel for a hour has soon wiped the smile off my face!